Rewind back to a graceful and oh-so-relaxed Old Florida era simply by crossing over the three causeway bridges from the mainland to The Gasparilla Inn & Club on Gasparilla Island. 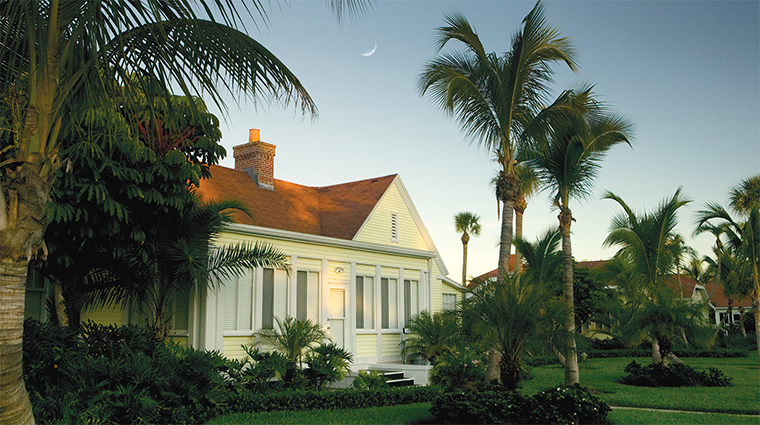 As charming as sweet tea, the stately property sits in the historic and quaint barrier island town of Boca Grande. 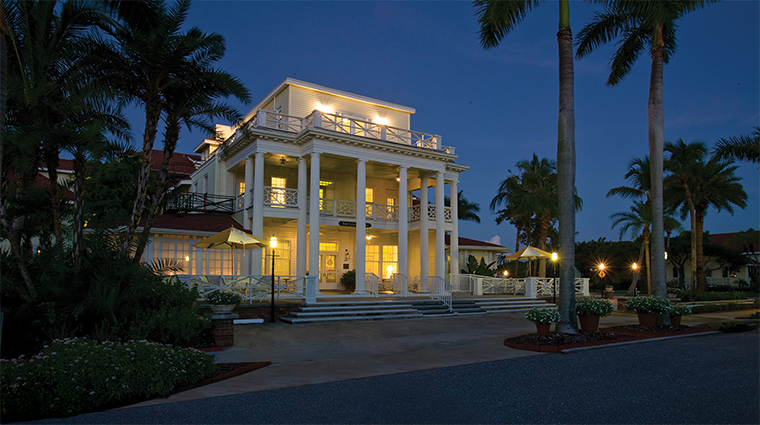 The largest and oldest-surviving resort hotel in the state, this gem was originally constructed as the Hotel Boca Grande in 1911, 1912 and 1913. 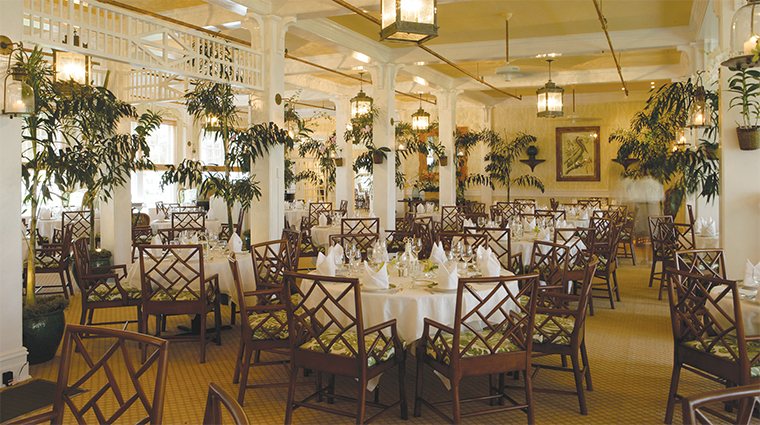 Established as The Gasparilla Inn & Club in 1913, 2013 marked its 100th season. 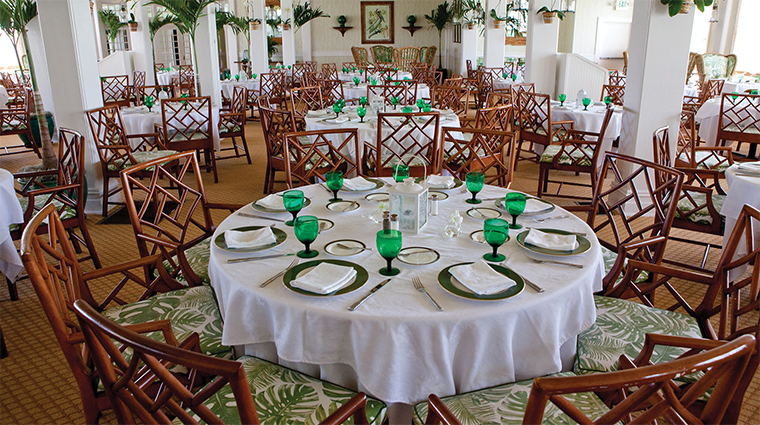 Throughout the years, the resort has welcomed the most elite guests through its doors, such as J.P. Morgan, Henry du Pont and legendary Florida railroad tycoon Henry Plant. It is no wonder the du Ponts and Rockefellers still own property on this posh island — you’re so close to the mainland, but feel transported to another time and place. Even pets get star treatment; the resort's four-acre fenced-in doggie park faces the water. 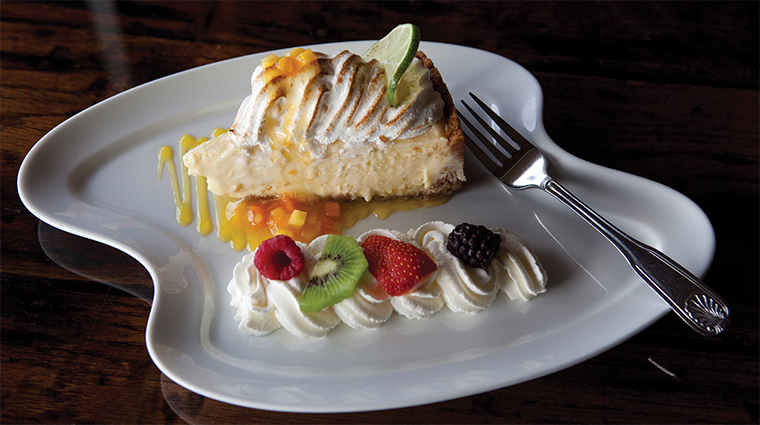 Dining options that range from a fine-dining restaurant to a bakery. 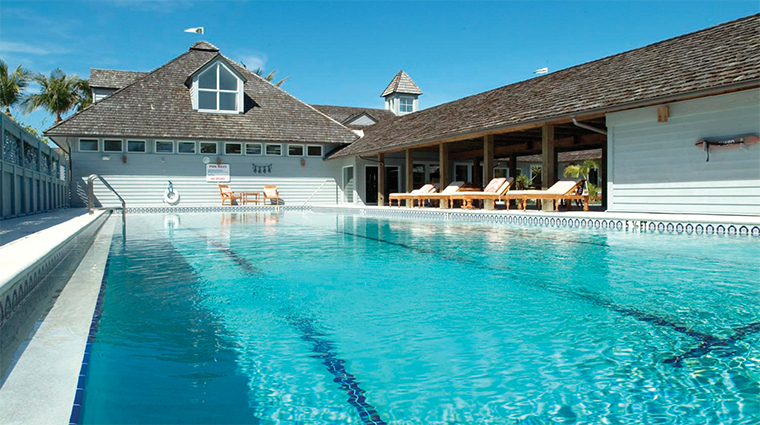 A heavenly spa, a beach club and private sliver of sand can all be found at this hotel including a family-friendly pool and adult lap pool, tennis, a croquet lawn, and children’s activities. 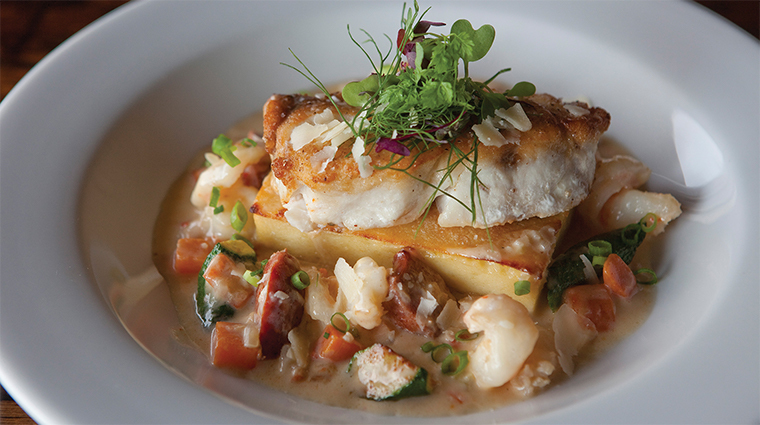 In January 2013, the Florida Gulf Coast hotel hosts the annual Food & Wine Weekend with master chef Peter Timmins and other culinary notables. 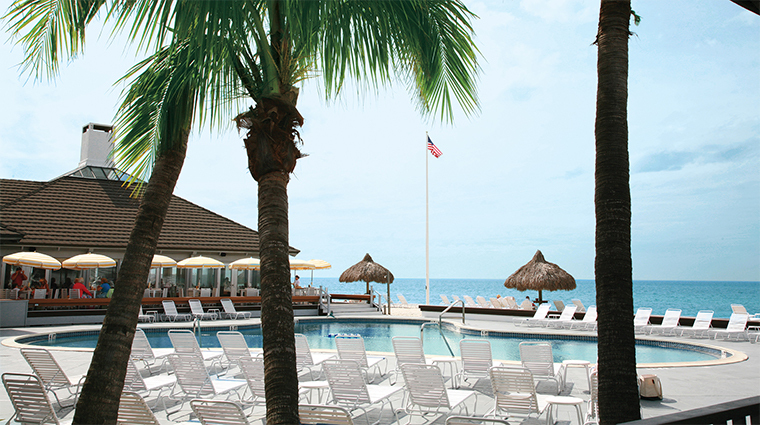 The best time to visit The Gasparilla Inn & Club is between October and July, when it’s open for the season. 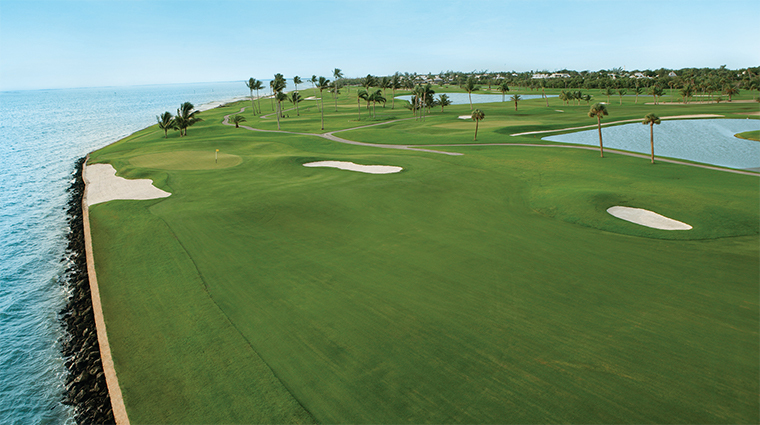 The winter also welcomes the official social season and the holidays, when the resort bubbles with socialites and families who visit for Old Florida traditions such as afternoon tea (gentlemen must wear coats during social season), sandcastle-building contests, game nights, children’s outdoor movie nights and the Gasparilla Kids Krewe programs. 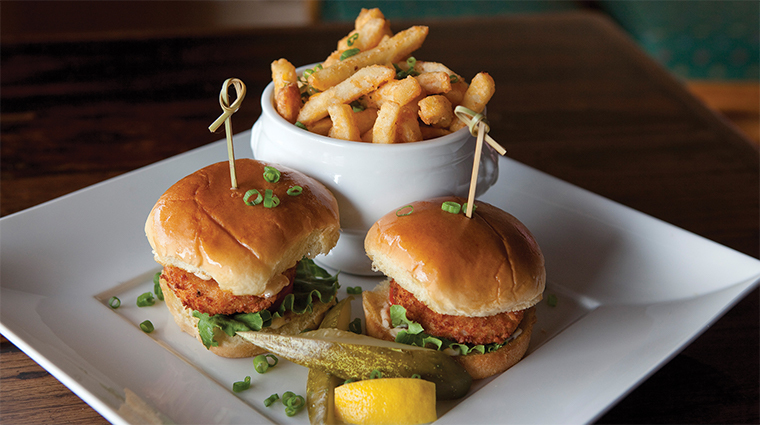 Another event that draws in people is the B4 - Beach, BBQ, Bourbon and Beer Weekend held in June, which offers cooking demonstrations and tastings with plenty of food and libations. The Fourth of July is also a popular time for families to visit. 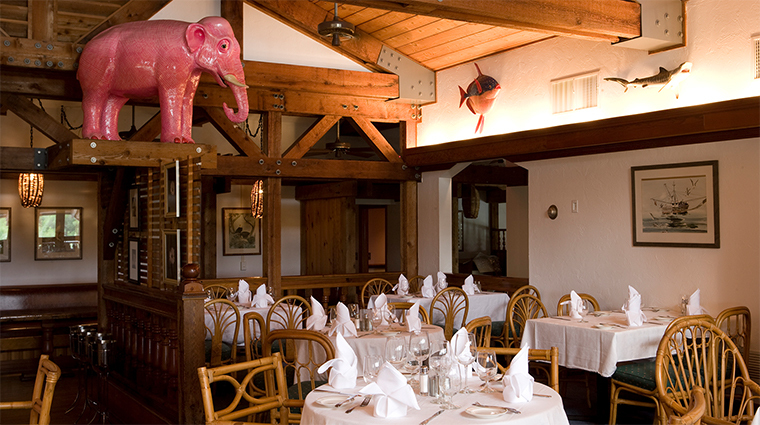 The Gasparilla Inn & Club offers five restaurants for guests visiting the Florida Gulf Coast hotel: Inn’s Dining Room, The Pink Elephant, The Beach Club, The Gasparilla Golf Club Gazebo and The Outlet. 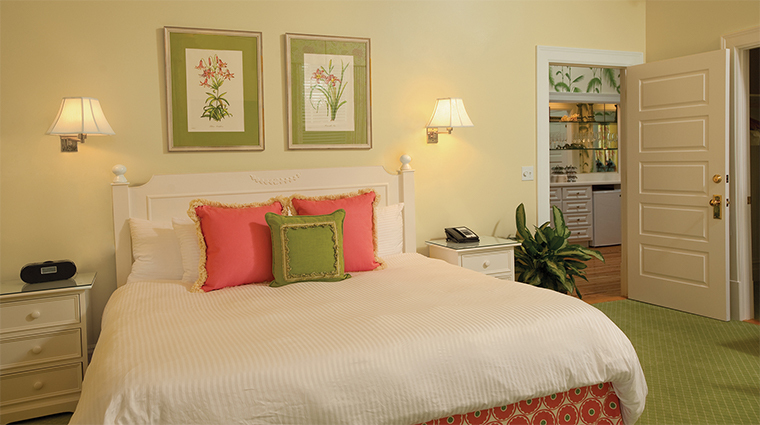 The Gasparilla Inn & Club offers 66 elegantly appointed rooms and suites, as well as a grouping of 18 quaint, comfortable private cottages and villas that are fully equipped for families, reunions and wedding parties. The pet-friendly cottages and villas can be configured to one- to four-bedroom units (making the resort's total room tally 142). Crisp white linens paired with bright pillows and candy-colored fabrics accent rooms with charming white wooden furniture. 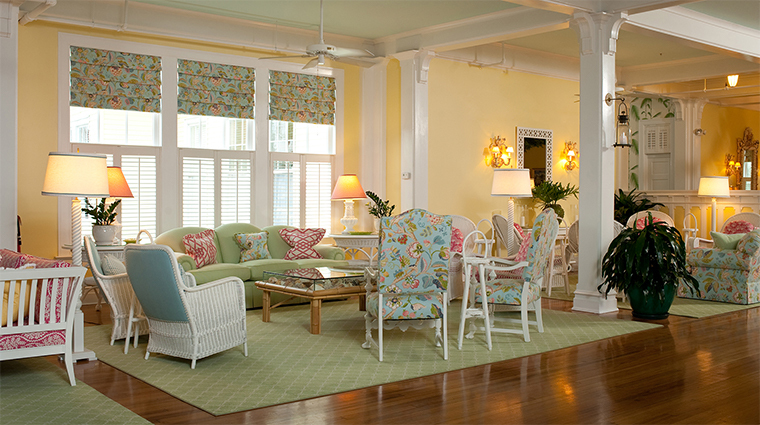 Spring-green lattice-designed carpets are soft under bare feet after a long day on the beach. 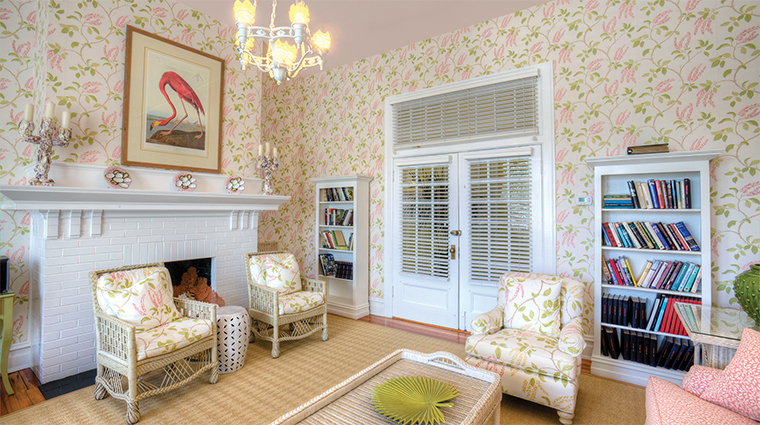 The pastel-hued palette sets the scene for an easy casual elegance. The smell also helps set the scene — you’ll likely get a whiff of a citrusy fragrance. 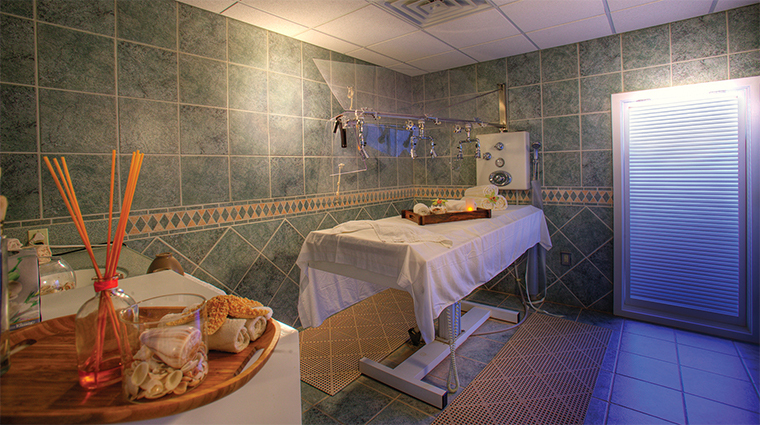 The luxury hotel uses a light orange scent throughout to relax its guests. 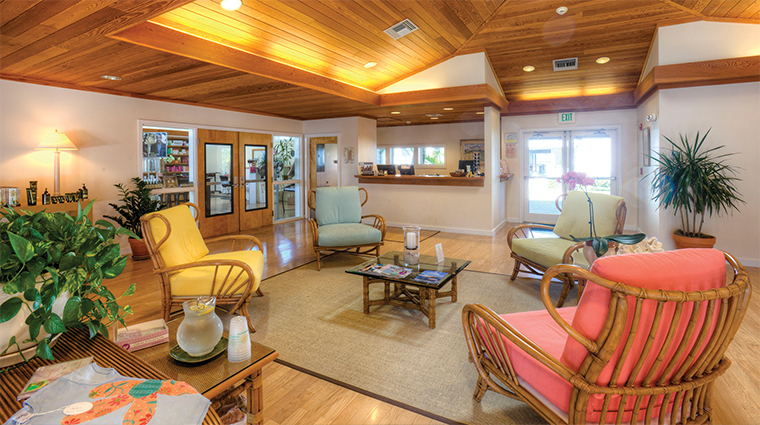 The private cottages and villas, located a hop-skip across the street from the main inn, have a series of bedrooms, baths, kitchens, living rooms (some with fireplaces) and screened and lanai porches. They are great for families who need to sprawl out on vacation. Their Old World charm and simple grace are matched with technology and modern conveniences, including flat-screen televisions, wireless Internet, private temperature controls and comfortable Tempur-Pedic beds. 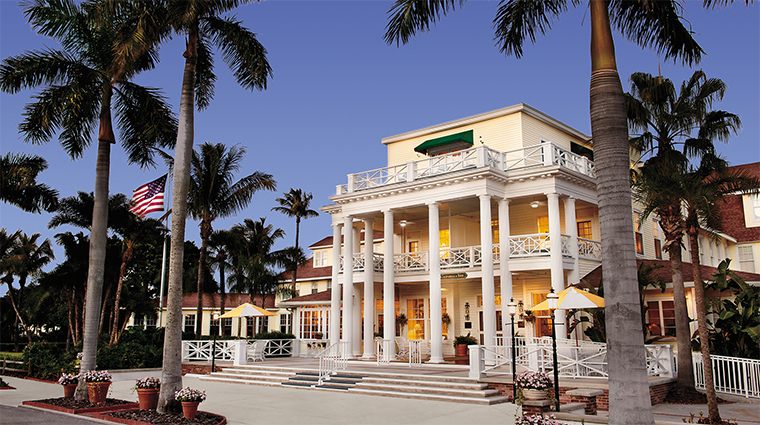 You can’t help but notice The Gasparilla Inn & Club’s design style when you arrive and see its stately Neo-Classical façade, complete with impressive white columns. 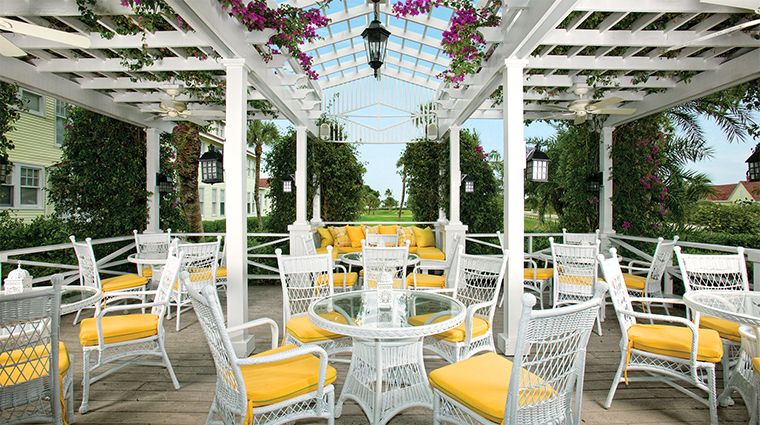 A duo of doormen welcomes you at the grand plantation-style porch, which is dotted with white rocking chairs meant for sipping lemonade and relaxing into a quieter pace. The foyer is superbly fragrant with the scent of mandarin oranges and citrus swirling up to the tall antique ceilings. A grand staircase, reminiscent of bygone days, leads upward to the resort’s suites, while downstairs, a formal sitting room, parlor, gentlemen’s lounge, game room and restaurant brim with fresh orchids. There is a resident floral designer on staff who cares for the magnificent arrangements of blooming orchids. 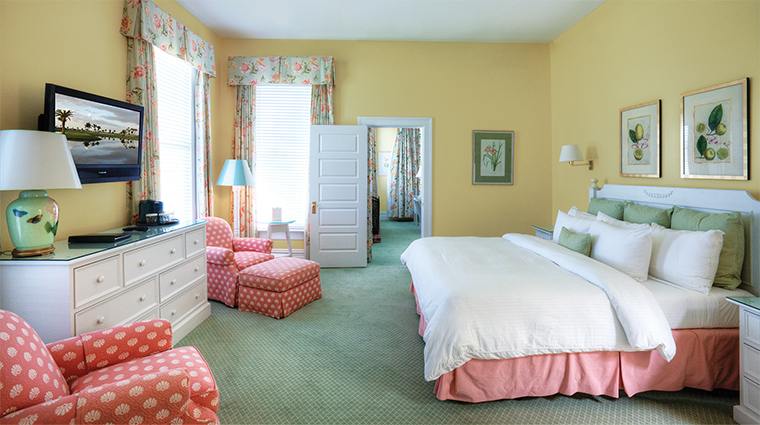 Some of the inn’s original furniture has been carefully restored, painted a crisp white and upholstered with punchy, bright fabrics in lemon yellows, minty greens and hibiscus pinks. The colors resemble the Lilly Pulitzer preppy palette. 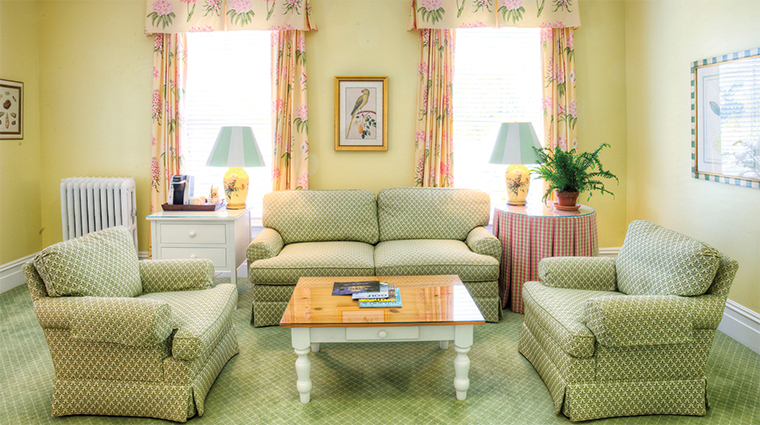 Original antiques fill this historic inn — from near the entryway to the parlors — but it still manages to exude a casual-chic atmosphere.